Round House or no round house? 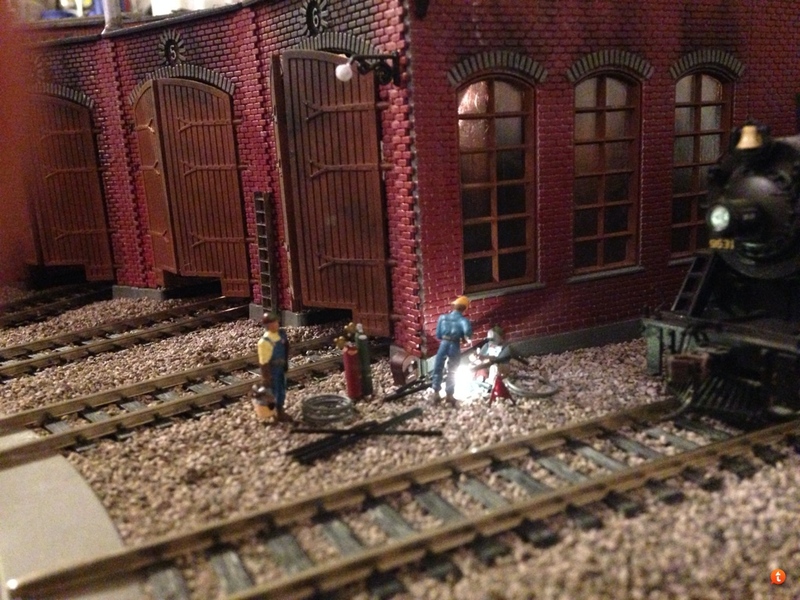 I'm fairly new to railroading and building an n scale layout, current period, coal mining, coal trains. 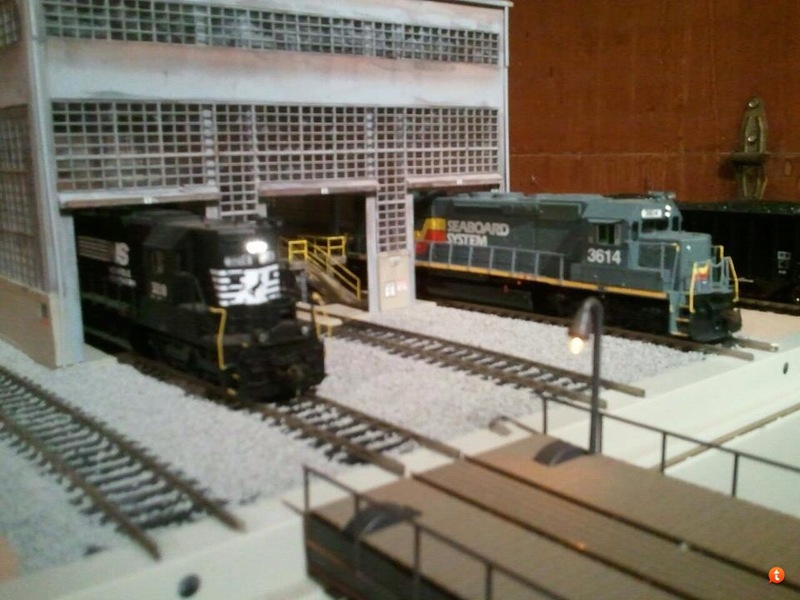 CSX, Norfolk Southern and a few BNSF diesel locos. I like to look of a roundhouse but I have also seen something that looks similar I think called a "transfer table," where the the transfer track slides left or right to different tracks. Here's the question, are round houses still current or would the "transfer table" be more correct as far as modeling in the current period. Any suggestions or photos would be a great help. 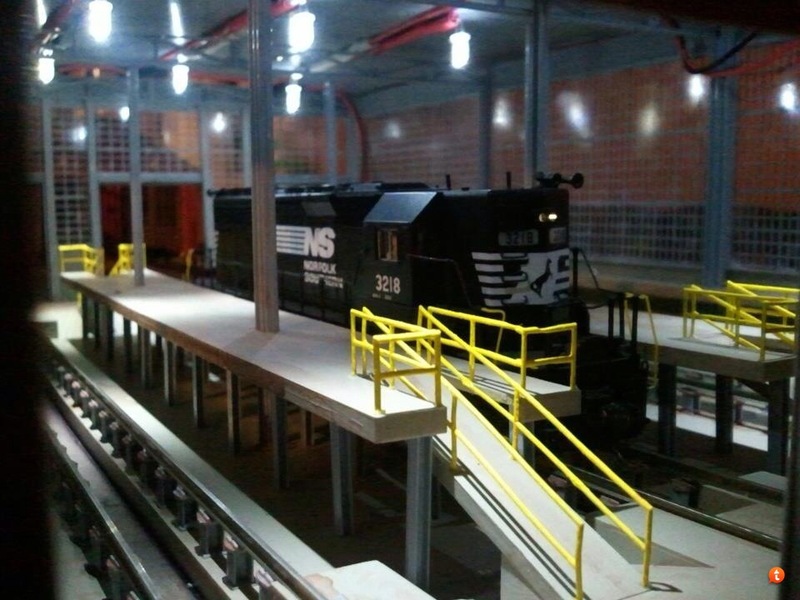 I model in HO scale, The transfer table is more modern as I have mine connected to a diesel repair facility. 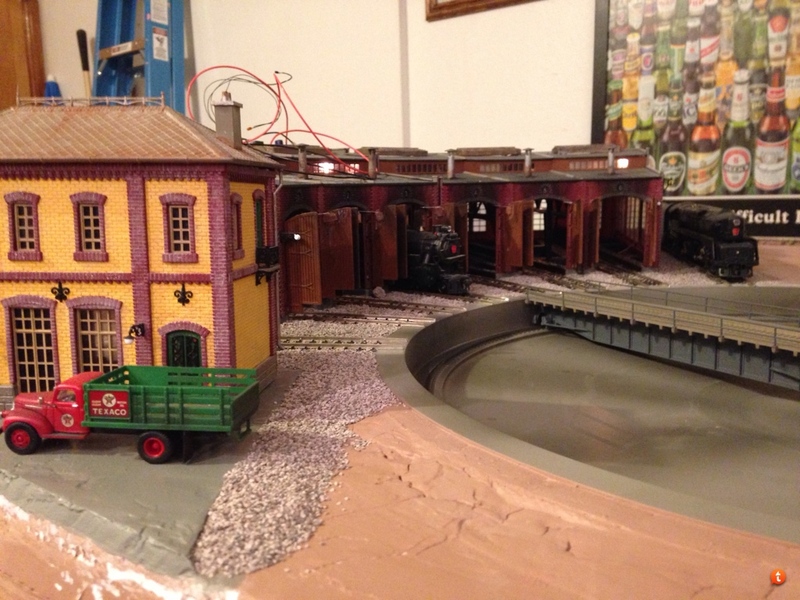 I also have a roundhouse and turntable but I use it for my steam era engines. It's up to you really but I would recommend the transfer table/pit for modern engines. I have three switches going to my three stall engine house/backshop. There is a fuel and sand rack out front, and it doesn't take much scrutinizing to see where the turntable was filled in, and the roundhouse razed, to make room for the modern facilities. Doing this shows history of the space modeled, and saves $$$ I would have had to spend on a transfer table. In modern times, there is not so much need for a turntable. A wye can be used for the infrequent times a diesel may need to be turned, and it could be modeled as "off the layout". We have a turntable in Roanoke, VA but no roundhouse. The picture you sent of the Round house off of Trousdale is less that 10 miles from my house. I had no idea! Thank you for sharing the information. Are you a member of Tennessee Central? Thanks, It seems that there are round houses around, not plentiful but something about them intrigues a lot of folks. Thanks to everyone for your responses, I appreciate your time and the sharing of onformation and some great pictures. You would probably be a lot better off with a transfer table if you are modeling the modern era. There are still a few roundhouses and turntables around, but they are the exception. A transfer table would probably use up less valuable real estate on your layout. Hotbox, no I am not a member of Tennessee central. I am from the Indianapolis area and was just following tracks around in Google earth and found that roundhouse. I was pretty shocked when I found it. Believe it or not, both are still in use. Transfer Tables are generally located around shops where the real estate is in short supply. Roundhouses and a few turntables are still in use, for use for minor running repairs, in areas where a major shop isn't nearby. There was a TT & Roundhouse located in Mobile and they did have a drop table for changing out axles on diesels. The nearest shops were locate3d several hundred miles away. So they did many light repairs there without having to send the locomotives to a big shop. Wow, I just noticed if you look in "Tilt" view there are a couple old Conrail cabooses sitting there. I remember seeing Conrail trains with cabooses just like those go by on tracks near where I grew up almost 100 miles from the above location. I would say of the choices a transfer table would be more correct. But the real correct answer is neither. Modern locomotive facilities use a ladder just like a freight yard to get the locos around. This is the lead to the Denver 23rd Street BNSF locomotive service facility (former CB&Q) from the Union Station (southwest) side. There is a round table in the complex but it hasn't been moved in at least 20 years. The track to the far right is the Union Station lead from the former D&RGW North Yard. The first track in the ladder is the fuel supply track, next track is the salvage track, the next 3 go to the engine house, next two are fuel/lube tracks the other 4 are storage. The one to the far right used to be a work train track but I haven't seen a work train there in years. There are a couple RIP tracks on the other side of the loco yard. They would line up with tracks #1 and #2, just on the other side. Out of the picture to the right are the two leads to Union Station that go eastbound on the former CB&Q and form the wye for the UP which terminates here. The Norfolk Southern shops at Altoona PA, have both a turntable, as well as a transfer table, but from what I,ve seen, the transfer table is used for making up freight car sets. Kevin, thanks for sharing that cool roundhouse picture. I didn't know they were still in use either. Problem is they take up a lot of space on a layout. Particularly if you have a couple of UP Big Boys on your layout. I have a modular layout and the modules are 18" to 24" wide and 4' long. I am pondering putting in a separate module just for a round house and a Walther's 130' turn table. "Now where can I put in another module?" Regrettably, most turntables and round houses are gone or slowly disappearing. Hornell (NY) had a huge rail yard that extended almost 5 miles along with a turntable and roundhouse. 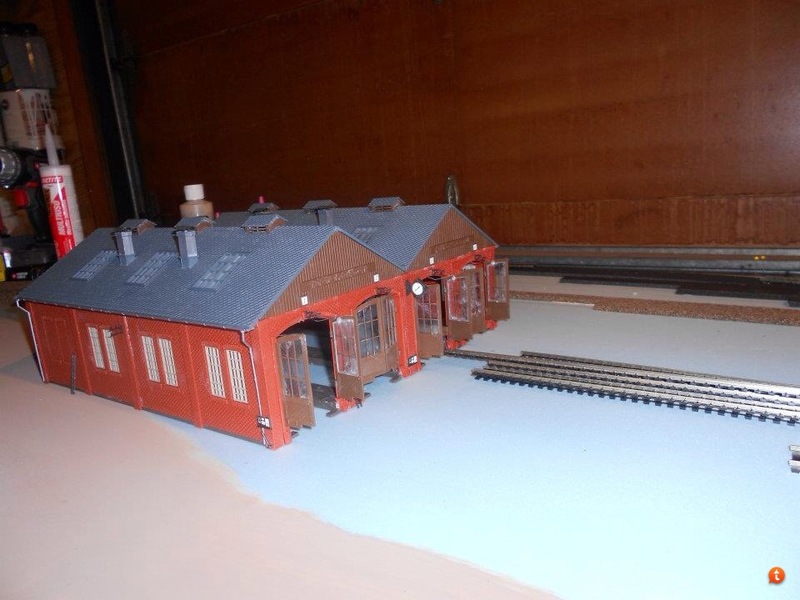 All that is left now is the original station and a couple of tracks with a single line departing to the north/east. I guess we are lucky to still have the original Station which now occupies a Medical Center the Hornell Rail Museum and Model Railroad Club. Lots of interesting info and photos here! In the end... have a roundhouse if you want one. You can find 'prototype' justification if need be, but more importantly... It's your model railroad. Invent the rationale if you want... Personally I always wanted a roundhouse and was going to have one regardless of any other factor. I happen to model transition-era, so prototype rationale isn't a problem. But I'd keep it even if I switched over to modern era, just 'cuz I think they're cool. Lots of good answers and opinions. I think of transfer tables as being used at large servicing shops. They're not the kind of thing you will see at every division point on a 1:1 railway. Turntables, as has been noted, are fast becoming a thing of the past. At the end of the day, put in whatever 'blows your hair back.' It's your empire. Only caution I would give is that either takes a fair amount of effort and maintenance. Maybe wait until you have more experience and can a) make a more informed decision, and b) have the requisite skills to make either one run flawlessly. 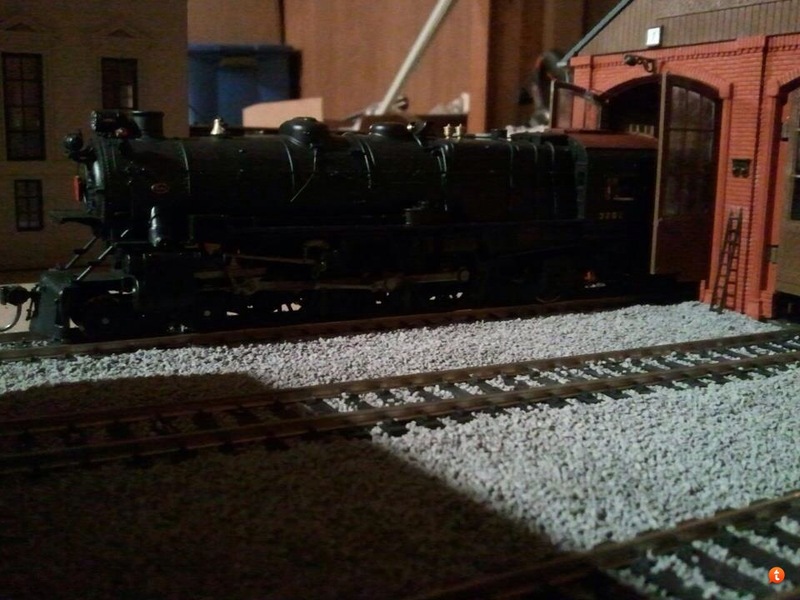 As for me, I model the Canadian National in 1956, so I have a 90' turntable and (will have) a 10-12 stall roundhouse, attached to my staging/fiddle yard. When you've been in this hobby any length of time, you'll probably have a lot more locomotives than you really need. I like the turntable/roundhouse with open storage tracks 'cause I can have all my engines out. 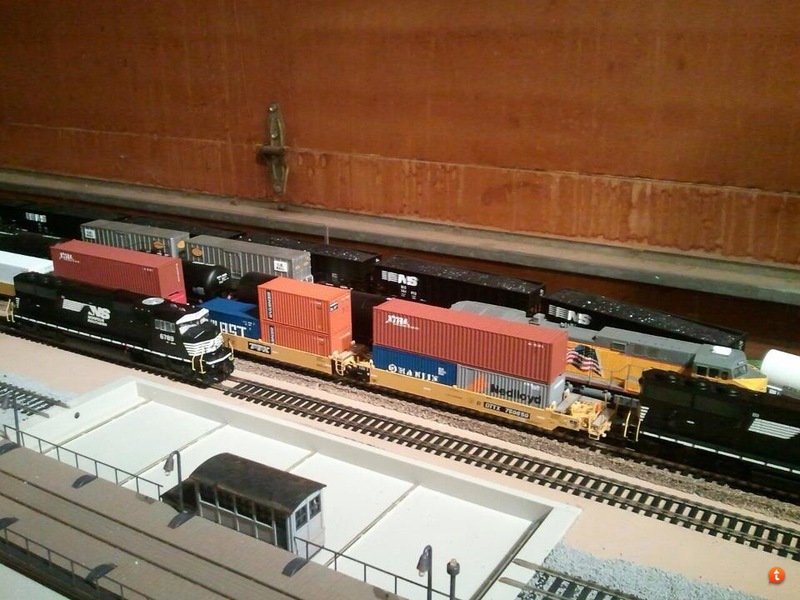 And yes, from time to time, an SD70 pulls a container train or unit grain hopper train around the layout, because my interests changed over time too. Chris reminds me of something... I've had layouts with hidden staging in the past. The new one under way has "visible" staging, configured as a 'yard'. Why? Because of exactly what he says: I definitely have more motive power and probably more rolling stock than the layout really merits. So I treat staging as my 'display' area rather than hiding it. Unprototypical? Yeah... I've got over it. 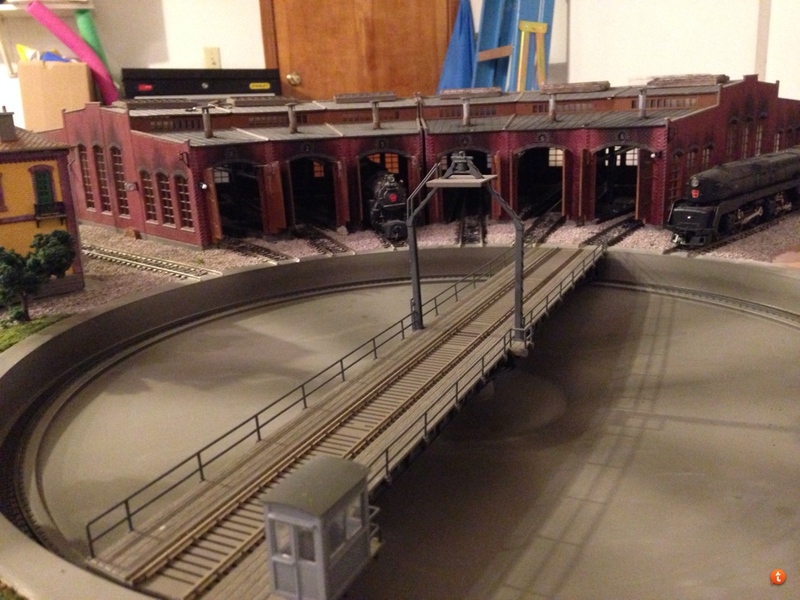 So if modeling the current era and having a turntable/roundhouse requires you to state that your railroad has "the very last operating turntable/roundhouse setup" in the entire ballasting world? So be it. Declare it the HQ of an excursion railroad a la the Strasburg. Declare it a victim of corporate cheapness that they won't replace it until it breaks... whatever!